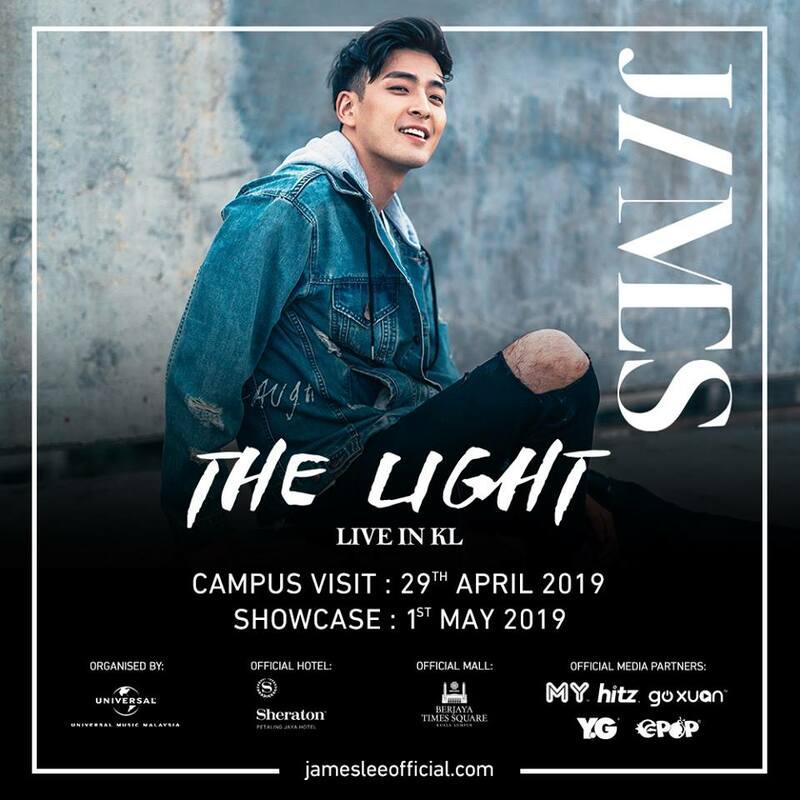 The talented singer-songwriter, JAMES Lee will make his return to Malaysia to promote his new EP 'The Light'. 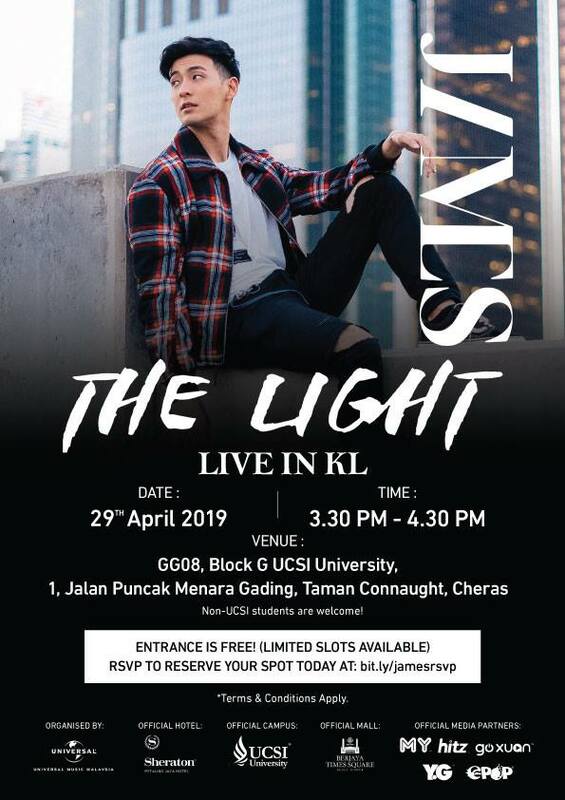 James is set to hold his 1st showcase titled "James Lee: The Light Live in KL" on 1 May at Berjaya Times Square and ahead of the showcase, James will also speaking at UCSI University and share his experience on 29 April! 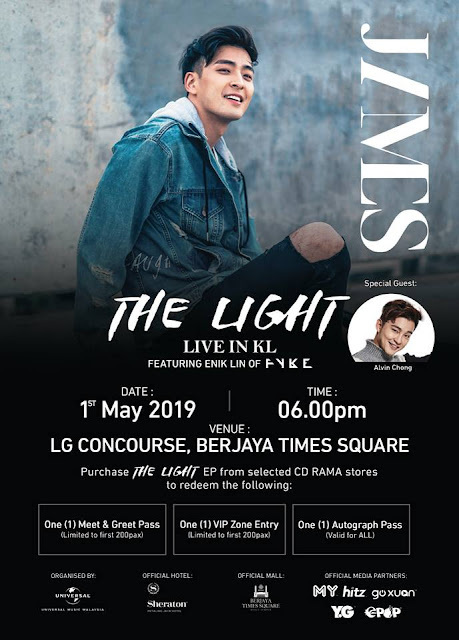 How To Win Passes to Meet James Lee Up Close? Having toured worldwide and performed on stages of various international festivals and concerts including Van’s Warped Tour, Supersonic Festival, Hyundai Card City Break amongst others alongside bands including Maroon 5, Earth Wind & Fire and the Pet Shop Boys, JAMES makes his return to Malaysia in 3 years to promote his new EP 'The Light'. 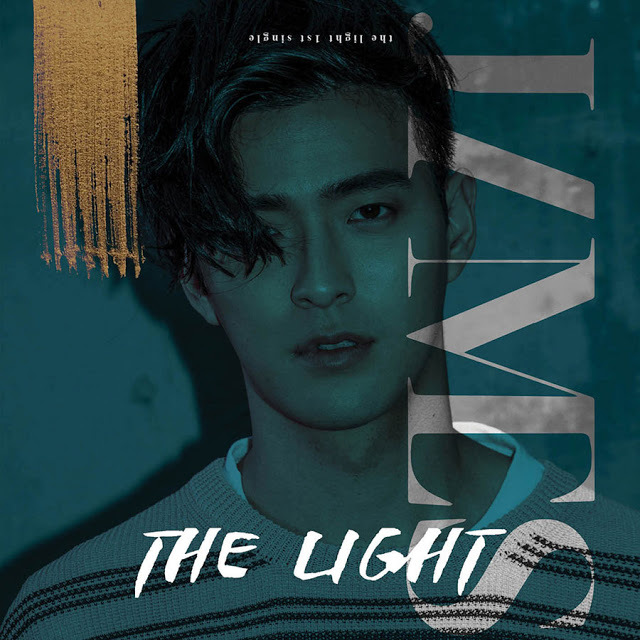 THE LIGHT EP, is James's first solo single where he wrote the track after his tragic accident. It’s an electronic mid-tempo song describing his journey from the darkness of depression to accepting God as his savior. It is an emotional cry for help and conversation with hope through the darkest time in his life. Check out Universal Music Malaysia Regional Facebook Page for more information.